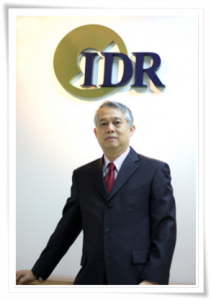 Mr.Pairoj Tea-Mangkornpan who has more than 35 years of experience in information technology started the company in 2009 on 7th floor of MD building at Bangna Complex in Bangkok. At that time, some data recovery centers have taken place in many countries. But neither representative nor any branch serving in Thailand yet. According to the very high rates of service fees, some organizations eventually decided to leave their important information from behind. The dedicated data recovery service company has set up under the name of Inter Data Recovery Company Limited since then. We provide data recovery services for more than 10,000 coporates and several thousand of local and oversea customers. We invested in Class-100 clean room environment for fixing a particular recording media devices, same standard as hard disk manufacturing companies. Knowledge and skill development process for our staff supporting their data analysis capability to determine the cause and assess the damage of data and medias. Including a record number of more than 10,000 pieces of equipment, spare parts to cover all types of media as much as possible. Meeting the international standard is our business goal. In 2012, the company has started to develop its services standard. 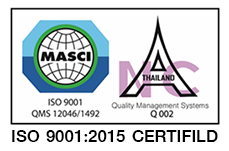 One year later we archieved ISO 9001: 2015 services certification by MASCI and keep on the standard of services assessment every year. "Data loss appears to be a slightly problem. However, if compared the business asset losses with intangible values such as photos, research data, design artwork and financial account information including the achive data that will be use for future reference. The value of these data is not worth a dime yet." The company started with a few square meters service area on 7th floor of MD building, from hundreds records in customer database and most of them were retail customers. The number of customer records increased every year with the growth of corporate and organization names in customer database. We just expanded our service area by moving the headquarters to M1 building and utilized all the rest of nine floors. With the reputation of our international standards and professionalism in the field of data recovery services, we also have more and more dealers and agents too. 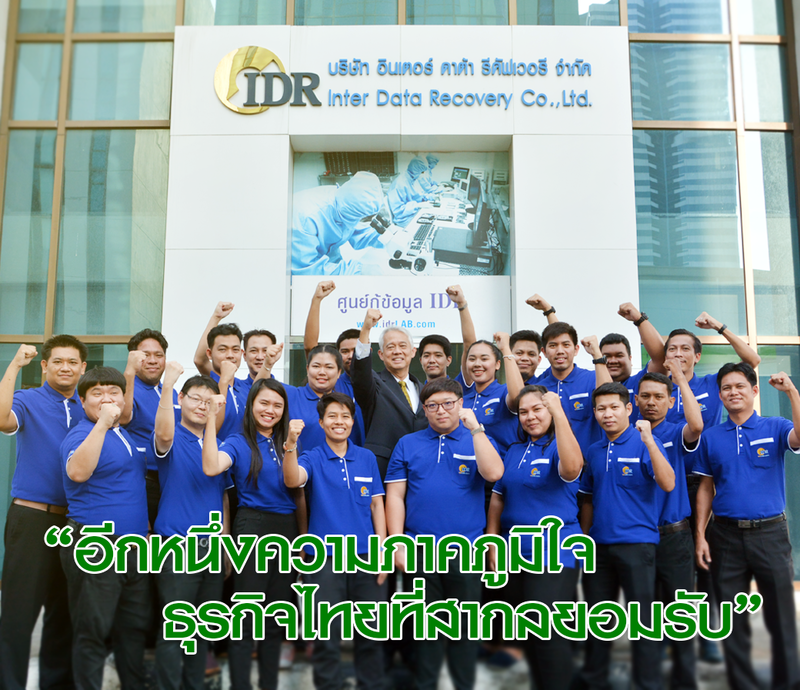 "Inter Data Recovery is a Thai's Company that focus on providing the best services to all customers, both local and abroad with international quality standard."